​Our skilled carpenters meet the requirements of our university’s diverse research, teaching and support services departments. We combine quality craftsmanship with the latest technologies and materials to fulfill remodeling, repair, and renovation projects. ​Our experienced locksmith installs and maintains high security keying systems, electronic locking systems, electromagnetic locking systems, and mechanical locks. For more information regarding keys and access cards, please click here. 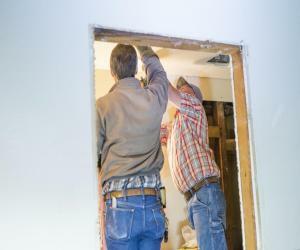 ​Our team of expert painters are committed to quality work and customer service. We do interior and exterior painting with latex and low and no VOC products. We are also responsible for graffiti removal. ​Our accomplished flooring team covers all types of patching, repairs and installation of carpet, vinyl composite tiles, epoxy sanded and non-sanded flooring along with concrete slabs and other quality flooring products. ​Our knowledgeable roofing team provides roofing services that include roof repair, re-roofing, and new roofing installation of any type of roof system. We also provide inspection service for existing roofs, waterproofing and cleaning of roof drains, roof gutters, and downspouts. 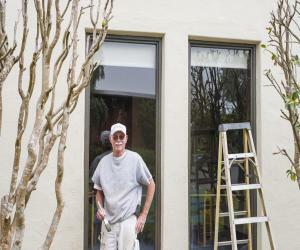 Window maintenance and repair including window coverings.